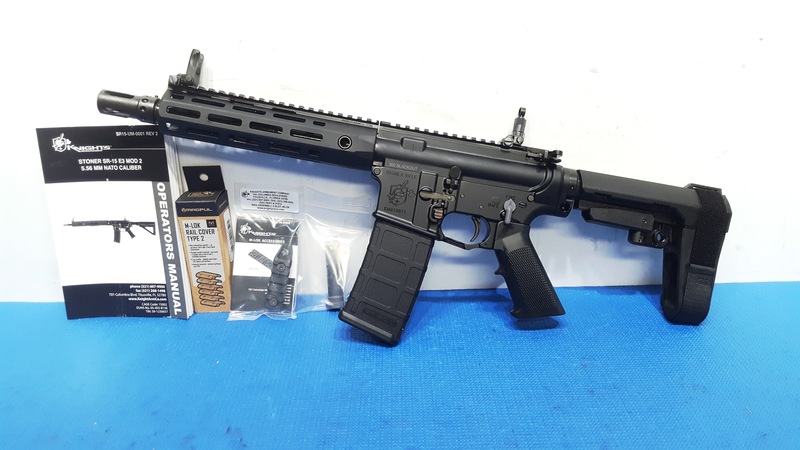 Knight's Armament SR-30 Pistol in .300 blackout w/KAC 300BLK LOWER, and the KAC 9.5" 300BLK upper with KAC Buffer. Gun in pic has the SBA3 Tactial Armbrace installed!. These come with All you see including 1-30rd mag. KAC front and rear sights also. Transfers as a lower to your dealer, this way in the future you can build anything you want on the lower, pistols, rifles etc. Call Chuck 305 923 6560 for more details. These come with the SR30 lower receiver.